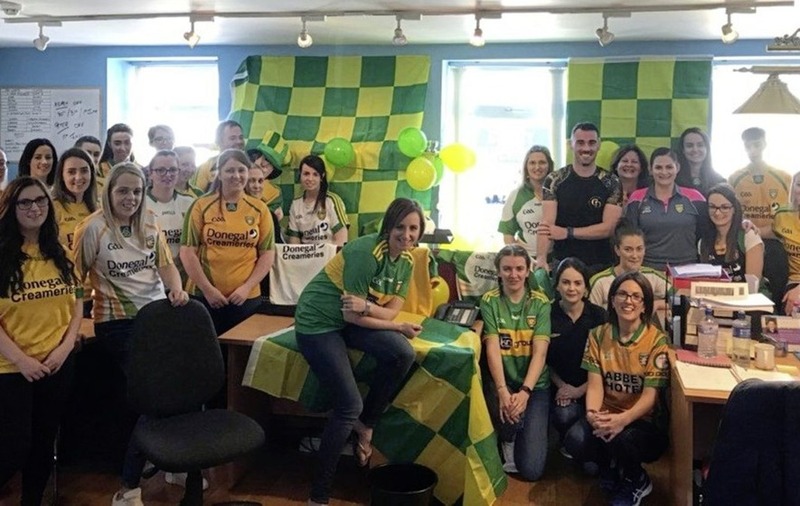 THE Ernemen might have perfect support at home, but in Donegal one Fermanagh star's workmates just couldn't resist an opportunity for some office banter before the big match. Half-back Barry Mulrone turned up at his work at an insurance firm in Donegal town yesterday to find its offices completely covered in the county's colours of green and yellow. 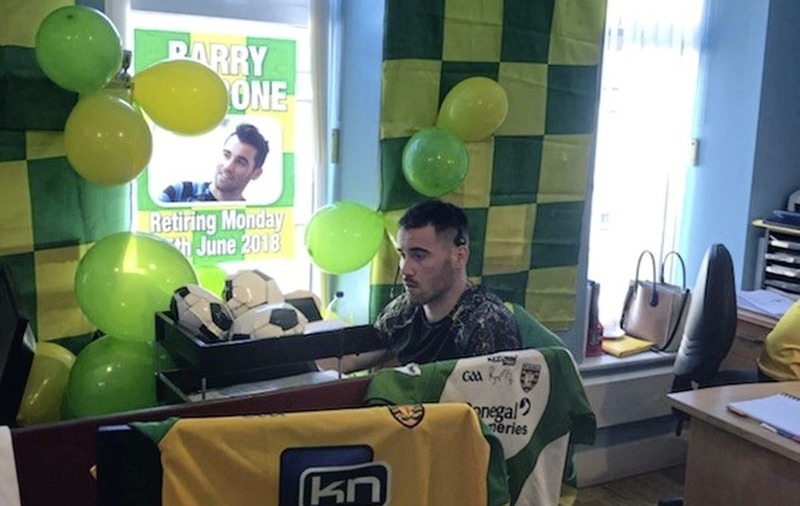 Dozens of his colleagues wore their Donegal jerseys and the offices were filled with bunting, flags, posters, photos – and even a blow-up doll in a Donegal jersey. Nikola Britton, CEO of Britton Insurance, said the Fermanagh star was a "very good sport" about it all ahead of the counties' showdown at Clones tomorrow. "We have over 50 staff in the office and got all Donegal staff to wear their jerseys. We have a casual Friday every Friday but this generally excludes jerseys, so we kept it a secret from our Fermanagh staff just to ensure that Barry was consumed by green and yellow," she said. "He was surprised but found the funny side when walking into the office and finding all the staff in Donegal colours. "Luckily for all the staff in Britton Insurance, we know that Barry can take a joke and was a very good sport and sat amongst the gear all day without a hint of complaint." She added: "The atmosphere is great in the office. Everyone is really looking forward to the match and although we are sure Donegal will win, if we had to lose we would rather lose to Barry and the boys."